In 2015 Amani made a leap forward by taking a leading role in coordinating the Moshi community to work together to help street children. With all the lessons learned and the experience accumulated, in February 2016 we decided to try to do the same in the bigger city of Arusha. Our first stakeholders’ meeting in Arusha was a success. As always happens in these meetings there was an interesting mix of people, ranging from shoe shiners to police officers. But they all have one thing in common: they can help street children. And that is exactly what we talked about. How can each of us help children who find themselves living on the streets? Thanks to this first meeting different actors know now how they can make sure that children find a shelter as fast as possible. We are excited with this initiative and have high expectations for our future collaborations. Our supporters have been BUSY!! It is YOU, through your generosity, who make it possible for Amani to be there to rescue vulnerable children and give them the opportunity to have a better life. And we never cease to be surprised with the commitment, creativity and generosity that our supporters show. Milou, Daphne and Cycy challenged themselves to climb Mt. Kilimanjaro and paid us a most welcome visit after reaching the top. Our friends from Liaison - a UK company - climbed three peaks in one month and Phil participated in the Great Birminghan Run to fundraise for Amani, as he has done five times in the last seven years. 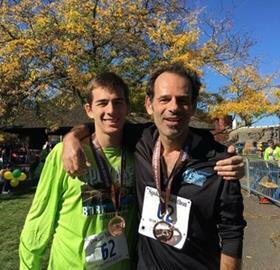 Inspired by all this action, 11 of the Amani kids ran the Half Kilimanjaro Marathon to fundraise for our sports program. Are you energetic, creative and generous too? Put all those qualities to work and fundraise for the Amani Kids! Joris visited Amani Children's Home in 2014 and later joined our Monthly Giving Club. Why? From the first meeting in Moshi, I was convinced that there is very beautiful work accomplished in Amani. Afterwards I wanted to do more than just help building the Amani farm. It seemed logical to me and my family to become a monthly donor. For us, the lucky ones of the world, it is a small effort. But that small effort means a lot for the future of someone who was less lucky than we are. In 2014, as Amani was celebrating its 13 years of existence, we started thinking about the future of the organization and created a seven-year action plan. One of the components of that plan was to begin opening small Amani branches around the country. The children we rescue from the streets of Moshi and Arusha come from all over Tanzania. When they leave their homes in search of work they usually go to the closest (small or medium sized) city. After some time – that can be weeks or months - they move to a bigger city where they think there will be more job opportunities. And that is how children from diffrent regions end up in Arusha. The idea behind the satellites is to have small Amani Centers in those medium-sized cities where many children come from, to allow us to find them faster and bring them back to their families. As our social workers know too well, the sooner you find a child after he flees to the streets, the easier it is to bring them back home. The reason for this is that on the streets children often go through traumatic experiences and learn new social norms that are incompatible with family life. When one of the committed Amani supporters showed interest in funding the first ever Amani Satellite we jumped at the opportunity and started to plan. To select the area we first looked at the place of origin of the children at Amani. Then we narrowed it down by considering whether there are other street-children organizations in the area and good road communication with Moshi. Soon we had a clear choice - SINGIDA! 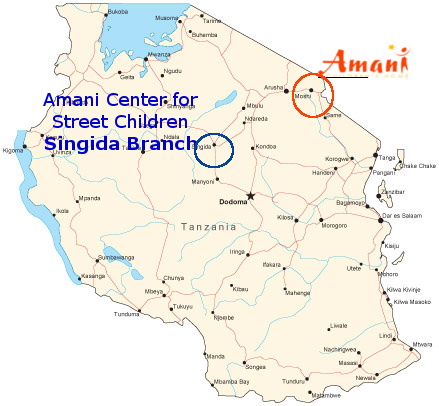 And this is how we decided to open the “Amani Center for Street Children – Singida Branch”. Our social work coordinator travelled to Singida to evaluate the situation on the ground. He met with local authorities, NGOs and - of course - with a group of street children. We found a big house, signed a lease for 12 years, refurbished it, did some construction work and painted it to look like a small Amani Home. We hired the core team: a project coordinator, a street educator and a reunification social worker. 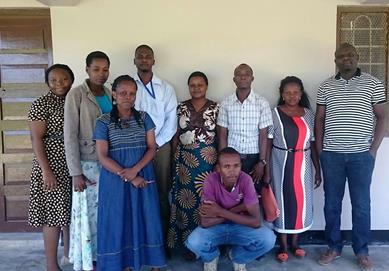 They were trained at Amani Children's Home in Moshi during one month. From Singida we hired the rest of the team: two night caregivers, a weekend caregiver, a cook and an administrative assistant. The new team got everything ready to welcome the children, including buying supplies and furniture, cleaning the playground and arranging the house. The street educator (and the rest of the team) started doing street work to start building a relationship with the children living on the streets. To be trusted you need to be known! How will the satellite work? The Singida Branch will provide temporary shelter to up to 24 children, but its primary focus will be in reunification. Most of the street children in Singida come from neighboring villages and part of them have probably not spent a lot of time on the streets. If we can find a safe home for the child he/she will be brought back home and enrolled in school. If after six months we can’t find a permanent solution for the children they will be referred to Amani in Moshi, where they can receive long-term care and attend our in-house school. We are now completing all the paperwork and permits that will allow us to start receiving the first children. At Amani, we are really excited about this new project and we hope it will bring many more success stories to share! James is an extremely outgoing and charismatic 13 year old child. He came to Amani in February 2016 and in no time he made friends with all the children and caregivers, always being eager to start a conversation. James didn’t decide to live on the streets but he reached a point in his life when he didn't have any alternative. Born in Simanjiro (northern Tanzania) to a family of farmers, he was going to school and living a simple but happy life. When he was 10 years old his uncle visited from Singida (200 km away) and suggested he could take James with him to Singida where, being a larger city, he could get better education. James’s family, as many rural families in Tanzania, was struggling to send all the children to school so they thought going to Singida could be a good opportunity for James. But his uncle’s intentions were not as good as he showed during his visit. In Singida James was enrolled in school but he had to pay a high price for that chance. Every day after school his uncle made him work until night taking care of the livestock and he didn’t have any time to study or do his homework. On top of that, his uncle didn’t give him any food and he had to make do with the porridge he was given at school. After some months he realized he could not go on like that. But James didn’t have many options: he couldn’t communicate with his parents and had no money to go anywhere. So, what did he do? Just leave and try to find his way back home. 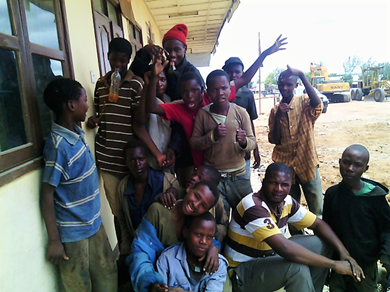 When Gasper (one of our street educators) met James he was in Arusha (500 km away from Singida) and he was stuck again. 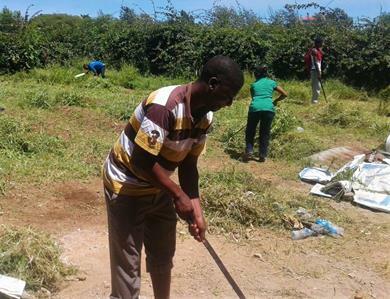 He had been in Arusha for some weeks and he was selling discarded plastic bottles to survive. After a whole day of picking bottles he was lucky to get enough money for one basic meal. It didn’t take long for James to seize the opportunity to come to Amani and today he is a happy child. Our social workers found his family and now everything is prepared for his reunification. James is looking forward to return home to be with his parents and siblings. If Amani wouldn’t have been there James’s story would probably be a different one. And if YOU wouldn’t have been there, Amani wouldn’t have been there. It is our generous donors and the members of our monthly giving Club who make this possible. Our monthly donors give us the regular income we need, to know that we can accept every child in need and that we will be able to take care of them -day in day out - as long as they need. Want to learn more about our Monthly Giving Club?